What do you Believe? Diffuse essential oils on this pendant to remind yourself. 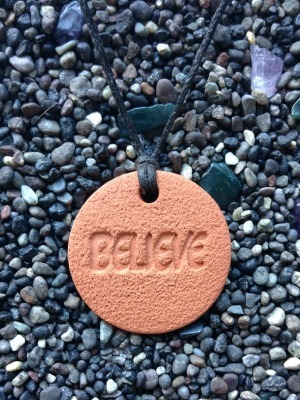 I love that it’s a daily reminder for myself to just BELIEVE, and it could be worn with uplifting oils to keep me going.